1. Heat oil in wok and add prawns. Cook until they change colour. Remove from wok and set aside. 2. 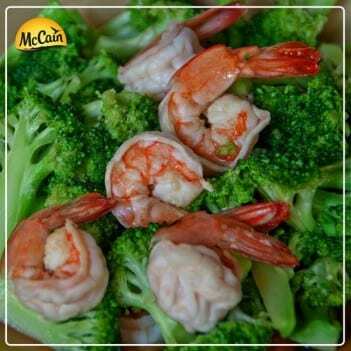 Add onions, ginger and McCain Frozen Broccoli to wok and stir-fry until broccoli has become a little tender. 3. Add remaining ingredients and mix well. 4. Add prawns and cook until heated through. 5. You can also serve this dish with steamed rice. 1 Heat oil in wok and add prawns. Cook until they change colour. Remove from wok and set aside. 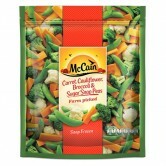 2 Add onions, ginger and McCain Frozen Broccoli to wok and stir-fry until broccoli has become a little tender. 3 Add remaining ingredients and mix well. 4 Add prawns and cook until heated through. 5 You can also serve this dish with steamed rice.